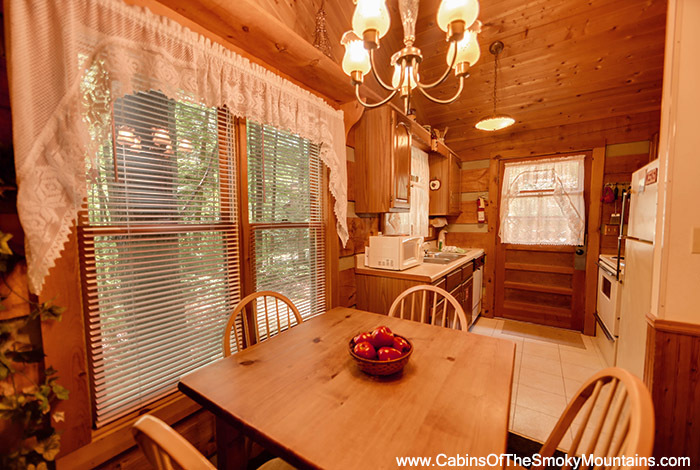 Are you looking for a secluded cabin for your family? 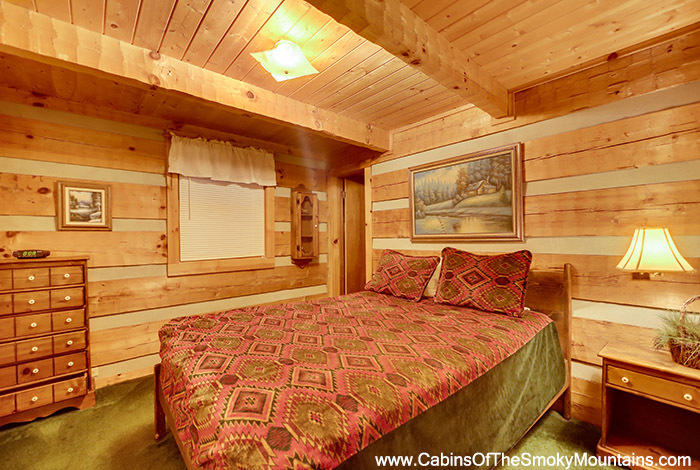 Nestled is a 2 bedroom 2 bathroom secluded cabin that sleeps up to 6 people! 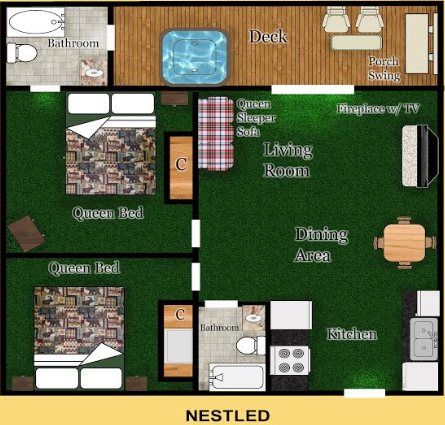 There's plenty of room for you and your kiddos! 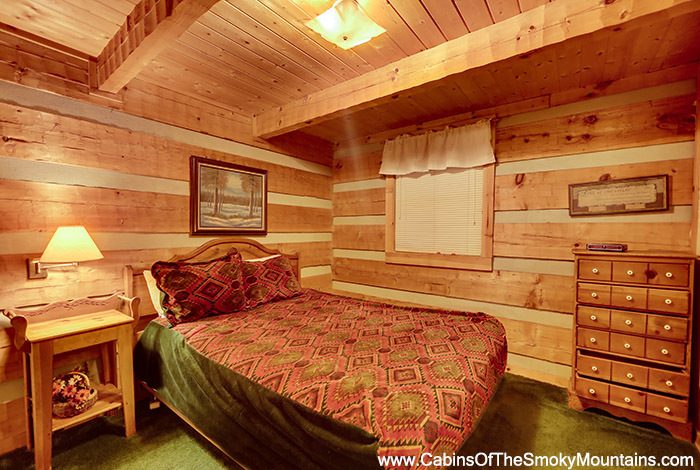 This cabin is located in the Hidden Mountain Resort in Pigeon Forge, TN, and it is located just minutes away from all of the downtown Pigeon Forge Attractions such as Wonderworks, Dollywood, and Dixie Stampede. Do you want to take a break away from cooking? The nearby restaurants are amazing such as The Alamo, Bennett's BBQ, and Big Daddies Pizza. 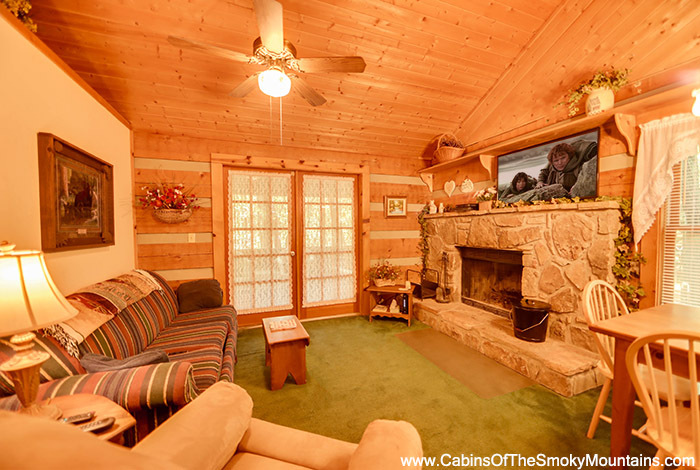 Have a movie night with your family, or maybe even put the kids to bed early and have a relaxing night in the hot tub with your significant other. 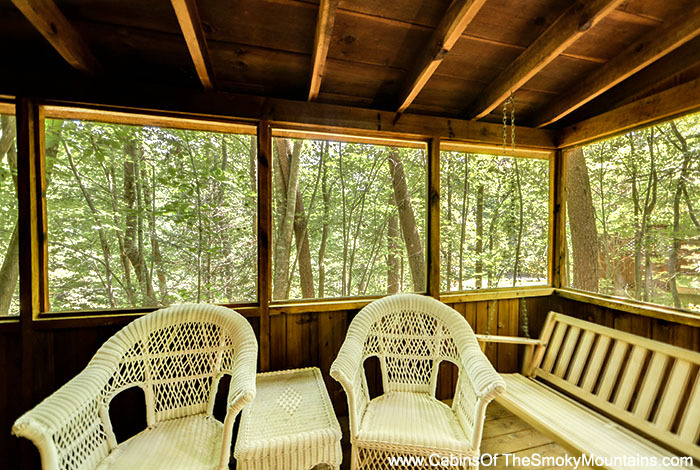 Spend your mornings on the porch swing sipping your coffee. Make Nestled your next vacation destination. You will not be disappointed!